Billy is a Dragon has seriously rocked our world! The obsession started when Wild Man (aged 5) saw an extract of it in Mania magazine. We read the extract over and over and over again until I finally admitted that, even though we have more books in our house than we can manage, anyone who can get that excited about a single chapter of a book deserves to own the whole thing. 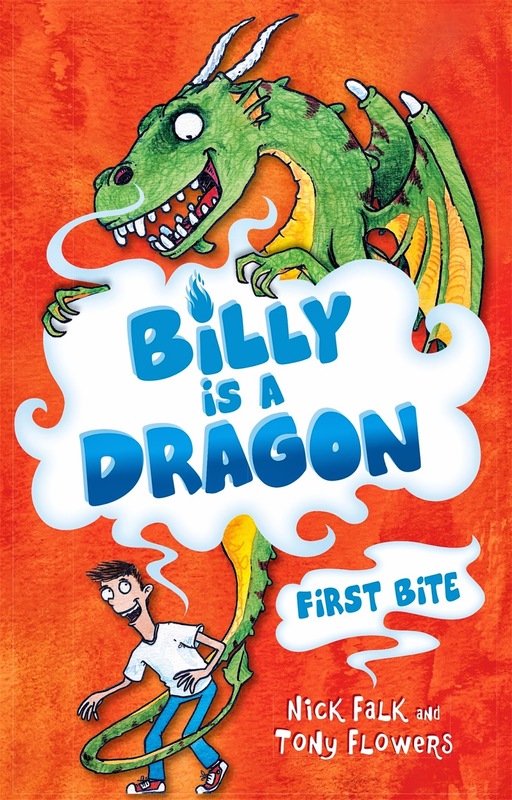 So Wild Man and I bought Billy is a Dragon (the children's marketing strategist in me was thrilled to see how well an extract can work as a marketing tool!) and settled down to read the first chapter. We ended up reading the whole book in a single day. Pretty impressive because it is 16 chapters long. A week later my aunt minded Wild Man and she read him the whole book in a SINGLE SITTING. Even for grown-ups Billy is a Dragon is cool and really funny. The most hilarious chapter by far (and the one featured in the infamous extract) features Billy, in the toilets at school, trying to hide the fact that he is morphing in to a dragon and desperately worried that he is going to end up naked in from of his class mates. It is brilliant. The story is great - exciting, funny, fast paced, and totally crazy. The end of the book makes it very clear that this is just the first book in a series and all I can say is thank goodness for that. This is definitely going to be our 'go to' birthday present this year. I love the way the illustrations are part of the text and it is clear that Nick Falk and Tony Flower worked closely to get the mix right. That, plus the whole page illustrations throughout the book, makes the text much less visually intimidating than books with pages full of words and I'm sure that it would work well for reluctant readers.